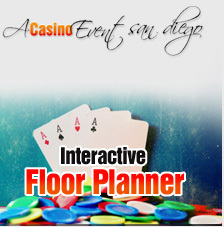 A Casino Event of San Diego is Southern California's Premier Casino Party & Event Planning Company. 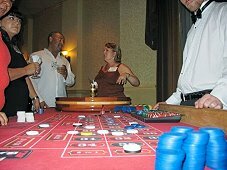 We are also the Nation's largest Casino Event Planning Company with locations across the United States. 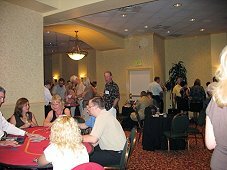 Some of the area's biggest Companies and Charitable/Fund Raising Organizations have put their trust in us to help add fun and excitement to their parties, events & fund raisers. However we don't just plan mega events - we also cater to small private parties. No Party or Event is too small - or too large! 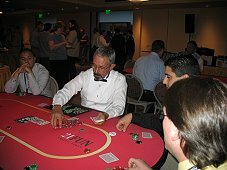 We pride ourselves in using only the finest Casino Grade Tables & Equipment, and staffing only highly trained, personable Casino Dealers. All of our event packages, down to even a single table rental, include delivery, setup and break down - so you won't break a sweat and can sit back and enjoy the Party or Event with your Friends, Family and Guests. 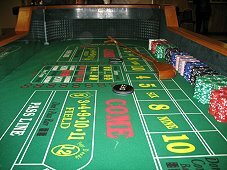 A Casino Theme is perfect for just about any occasion including: Birthday Parties, Anniversaries, Corporate Events, Holiday Parties, Conventions, Weddings, Bachelor & Bachelorette Parties, Grad Night, Office Parties, Reunions, Fundraisers, Charity Events and just about anything else you can think of. 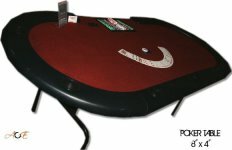 But our services don't stop with just the highest quality Casino Equipment & Table Rentals or friendliest casino dealers. We offer complete Bartending & Beverage Catering Services which includes Professionally Trained, Super Friendly Bartenders & Servers, Cocktail Menu Planning and Portable Bars. Plus to top it off, we now offer DJ's, Audio/Visual Services, Lighting & Photography/Videography services. We're literally San Diego's one-stop-shop of Party & Event Planning! We serve San Diego, California and the entire surrounding area including, but not limited to: Alpine, Camp Pendleton, Carlsbad, Chula Vista, Coronado,Del Mar, El Cajon, Encinitas, Escondido, Julian, La Jolla, Lake San Marcos, Lakeside, La Mesa, Lemon Grove, National City, Ocean Beach, Oceanside, Pacific Beach, Poway, Ramona, Rancho Bernardo, San Marcos, Santee, Solana Beach, Spring Valley, Valley Center & Vista. 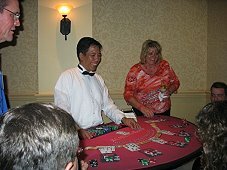 So are you ready to add some casino themed fun & excitement to your party or event? Then give us a call at 619-772-5762 or toll free at 1.866.IDEAL.21 (866.433.2521) today for an instant quote and to reserve your date!